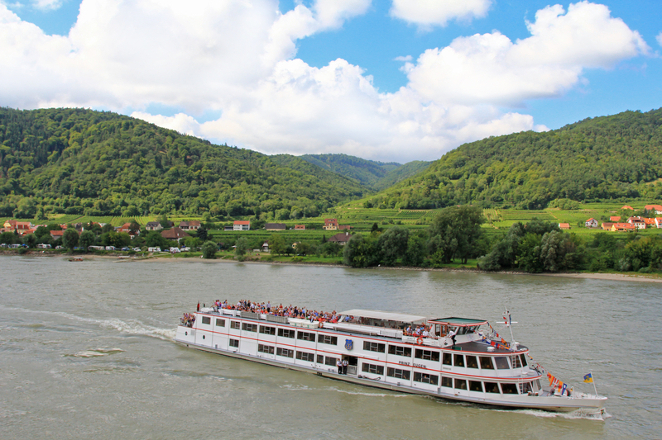 Discover the most stunning section of the Danube Valley on this half day Wachau valley trip with optional Danube River cruise or Malke Abbey tour from Vienna. 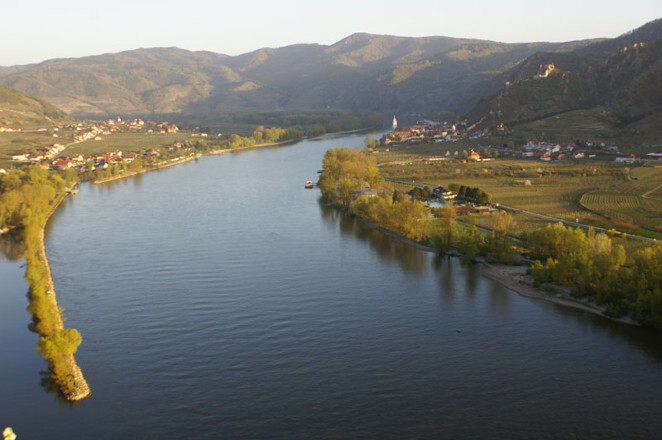 The Wachau Valley is stepped in history and culture, and offers beautiful countryside scenery and is arguably Europe`s best wine producing region. 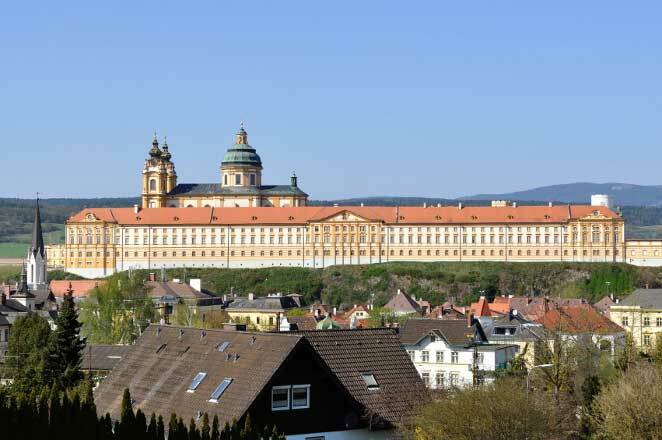 After a short drive from Vienna you will arrive in the town of Melk to take a quick photo of the famous Benedictine Monastery (Stift Melk), followed by a fifty minute scenic boat cruise along the river Danube from Melk to Spitz. On board, your guide will share many interesting stories about the region as you pass by small villages, fruit orchards, vineyards and Fortresses and Palaces. On board you will also have time for a bite to eat, a glass of local wine or a cup of coffee. 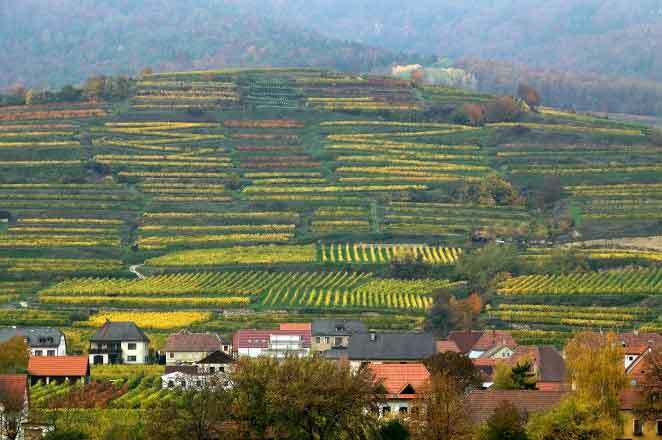 After arrival in Spitz, you'll then drive through small villages before arriving at the UNESCO town of Dürnstein. 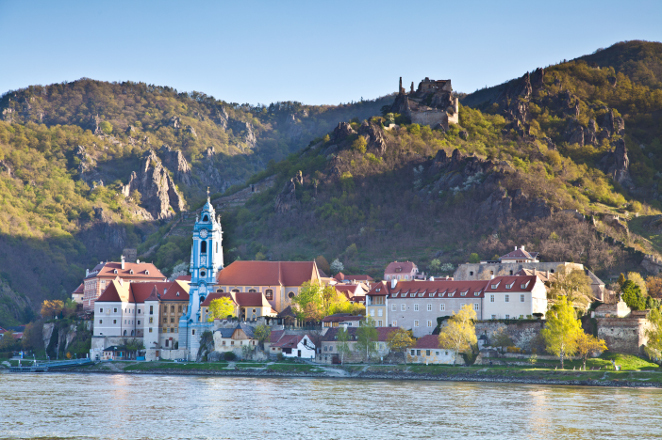 Dürnstein is arguably the most scenic town in the Wachau and offers impressive views of the Danube and surrounding vineyards. You'll have free time to hike the ruined castle where Richard was imprisoned in 1192, shop or discover the village at your own pace. Our private tours are available in English, German, Spanish, French, Portuguese and Italian. Upon request we'll happily arrange your tour in Russian, Chinese, Japanese, Arabic and Hebrew (at a surcharge).